This has been an extremely difficult week for the people of Iran – flash floods occurred in 28 of Iran’s 31 provinces, causing massive destruction and devastation. The estimated damage to roads, schools, farms, and livestock are in the billions of dollars, which makes this one of Iran’s costliest natural disasters to date. We want to thank each and every one o f more than 5,000 individual who have reached out to us and donated t o our Facebook and on our website . As we did following the Kermanshah earthquake, our staff are on the ground assessing the situation to see how best to address needs, both long-term and short-term. We want to thank all of the staff on the ground that have been working tirelessly to see how best to provide aid, especially during Nowruz holidays where many businesses and entities are closed. As we wait for funding to come in from our fundraising efforts, we are coordinating the purchase of Conex units for areas where schools have been damaged, sending social workers to flooded areas to assess the needs of children and their families to then provide them with financial support, and in talks with local authorities on how else to provide support. This has been a heartbreaking Nowruz for many, and we want to extend our gratitude to the people of Iran, our sponsors, and supporters. It is in times of crisis where we must all come together to help those in need. To learn more about how you can help, please visit o ur website or Facebook fundraiser here . ﻿We appreciate our staff in flooded areas that are assessing the needs on the ground to see how best relief can be provided. Thank you for all that you are doing during this crisis. We want to thank Niloufar Nourbakhsh and Shadi Ghaheri, curators of the Emruz (Independent Contemporary Iranian Artists) Festival in Brooklyn, who will be donating 10% of ticket sales from their event to Child Foundation for flood victims. This festival is designed to illuminate the work of Iranian artists living inside and outside the United States and celebrates independent theater, dance, music, film, and performance with the goal of illuminating the daring works of emerging international Iranian Artists. Thank you for the support and for showcasing Iranian artists! To purchase tickets to the festival, please click here . If you like to do a fundraiser for Iran Flood Fund, please contact us here . Fatemeh is a 15-year old student from Ilam, Iran. She is currently in 6th grade. A couple of years ago, Fatemeh’s father broke his hip and lost his kidneys due to a gas explosion and can no longer work. Fatemeh’s mother suffers from a herniated disc. Fatemeh has two brothers and a sister. One of her brothers has stopped going to school, but her other siblings are in school. With your support, Fatemeh will have the opportunity to remain in school and have the chance to have a better and brighter future. 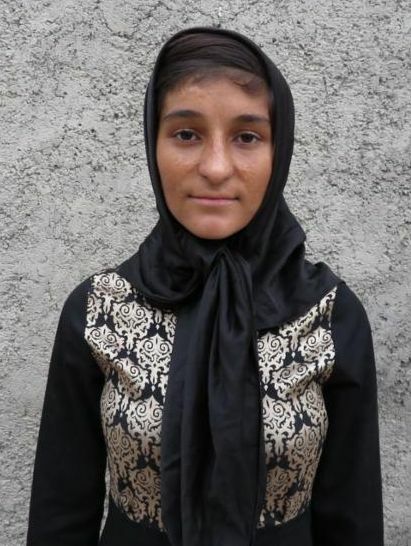 After reviewing Fatemeh’s talents, interest, and motivations and taking into consideration the financial needs of the family, Child Foundation has granted a $30 /month scholarship to the student. Join us in creating a better future for her. Please take action and sponsor Fatemeh with a minimum of $30 per month here . 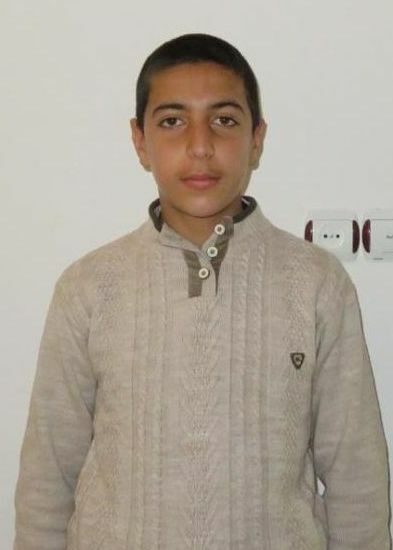 Peyman is a 15-year old student from Marvdasht, Iran. He is currently in 7th grade. His father has passed away, and his mother has custody of him and his siblings. The family lives in a small rented suite. The family’s primary sources of income are through donations and government subsidiary programs. Peyman’s mother occasionally works on farms to make ends meet. However, due to drought, she has a hard time finding a job. With your support, Peyman will have the opportunity to remain in school and have the chance to have a better and brighter future. After reviewing Peyman’s talents, interest, and motivations and taking into consideration the financial needs of the family, Child Foundation has granted a $30 /month scholarship to the student. Join us in creating a better future for him. Please sponsor Peyman with a minimum of $30 per month here . Child Foundation is a non-governmental organization (NGO) and is not part of any government or its agencies. It has a license to work as an NGO and send humanitarian aid to many countries other than Iran, including Afghanistan, Nepal, and Cambodia. Our sister organization in Iran, Bonyad Refah Koodak (Child Foundation-Iran بنیادکودک ایران) is a registered NGO in Iran and administers its own budget, funding, and projects. Child Foundation does not go through the Red Crescent to send funding to Iran due to our sister organization being a registered NGO in the country. We are a legal US entity and voluntarily perform an annual audit every year that complies with the Internal Revenue Service’s regulations. Through our OFAC license from the Department of Treasury, we are able to send up to $3 million in humanitarian aid to Iran per year. We have been collecting donations and distributing aid for 25 years, and all of our financial statements and audit reports from the past 13 years are available on our website . Donations collected outside of Iran will be sent to Child Foundation’s sister organization in Iran, Bonyad Refah Koodak ( Child Foundation-Iran بنیادکودک ایران ). They will distribute the funds according to the needs of the community based on their assessment of the situation. Child Foundation-IR has 29 offices in Iran, including in many of the flooded areas. We are currently in talks with local staff and offices to see how best to send funds over to accommodate needs in most impacted areas. Currently, many of the roadways are destroyed and inaccessible, which makes providing immediate relief challenging. We applaud local organizations and groups that are able to provide immediate relief right now as we assess how to make the most impact with money that has been raised.